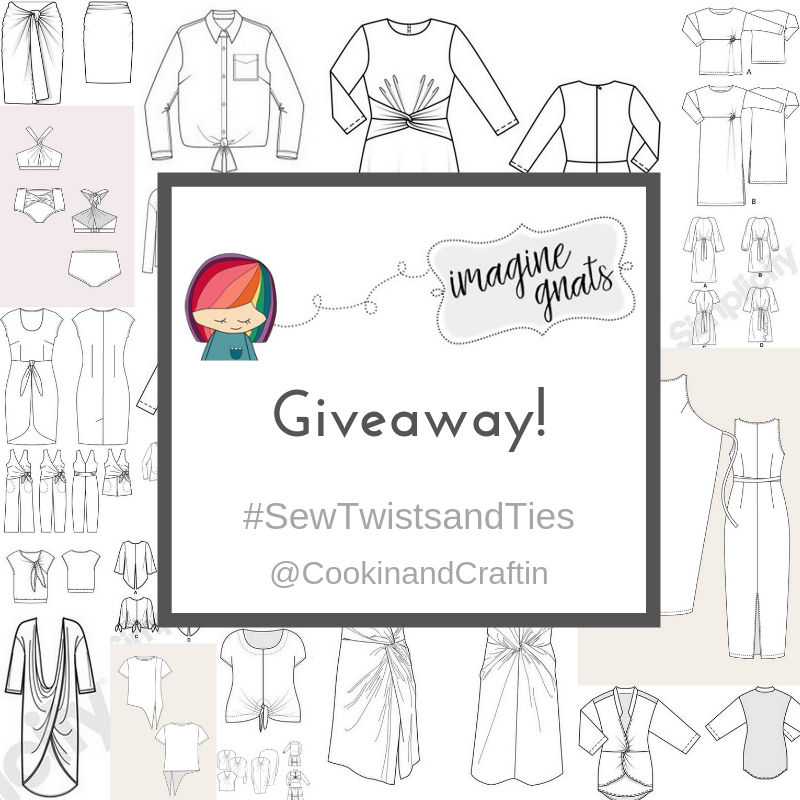 Hooray, another giveaway for Sew Twists and Ties! Imagine Gnats has very generously offered up a $50 gift certificate for a lucky winner! The Imagine Gnats shop always has a lovely selection of garment fabrics, and currently what they have in stock is no exception to that rule. 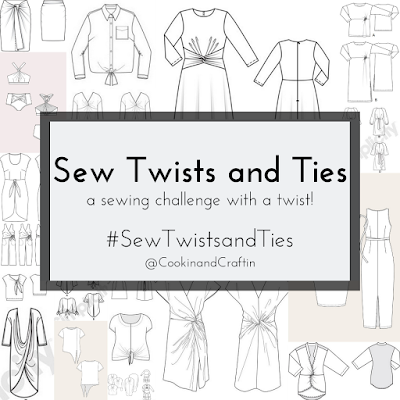 I've already used fabrics from Imagine Gnats twice for Sew Twists and Ties projects! I made my Nottingham Top from gorgeous modal/cotton/rayon/spandex sweater knit from Imagine Gnats. Check out all the sweater knit options available in the shop! I used a drapey rib knit for my Jarrah Sweater. Have a gander at all the different rib knit offerings at Imagine Gnats! Don't forget about wovens, though! Check out Imagine Gnats' lovely selection of linen and linen blends, perfect for a Meridian dress! 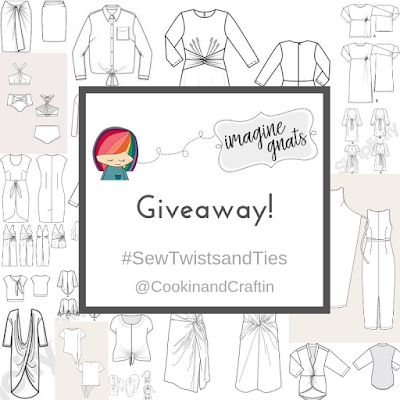 UPDATE: A winner has been chosen and notified! Thanks for entering! 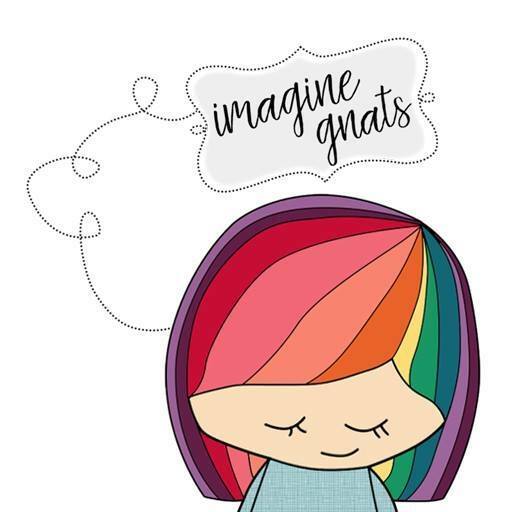 I love imagine gnats! It's the cutest that she always adds a piece of candy too. Her color selection looks great! Blues and pinks are my favorite. Thanks for making this giveaway happen! That modal is gorgeous, I'd probably copy your Nottingham top! Bamboe cotton sounds sooo soft, for a long sleeved Nottingham top! I would love to make a hinterlands dress in the stardust double gauze. And also this same gorgeous twist top! I saw some cone mills stretch denim, would love to try that to make a nice skinny jeans! If its sold out, then the rayon ponte in black to make a power dress for work. I love so many of her fabrics... esp her bottom weights and cotton and hemp shirt weights. I really love her cone mills selection, and the mustard especially would be excellent jeans!! That's such a generous gift!! Loved her insta post about supporting all bodies. That tri blend looks so nice, I may try it. Seems really close to the fabric my favorite gap shirt is made from. Ohhhhhh! The bamboo cotton rib sounds so divine. But I also love your Nottingham, so clearly I need some triblend sweater knit too. Such great offerings. Love the tri-blend modal sweater knits! Really loving theaters brunettes, all of them! Thanks for running this! I love rayon ponte also. I love they stock cone mills denim! I have a huge list of “things to buy” at Imagine Gnats!! I’m REALLY hoping I win this one!! My credit card company knows how much I like Imagine Gnats! I'd like to buy everything, but my first choice is the heather lake bamboo/cotton rib knit. I've bought the tencel twill and it is to die for. I "need" more for spring sewing. It's so hard to find sweater knits with a nice drape. Imagine Gnats has so many great options! I find that they have a lot knits that are appealing. Also a nice selection of pant weight fabrics for slacks or jeans. Always on the look-out for online fabric stores. Thanks again for the giveaway. Love a good knit--the tri-blend modal in marine would be perfect for my Nottingham top. It's on my to-do list for January and February. Thanks for the inspiration! I love her fabrics! I've got my eye on the tri-blend modal in plum for a big drapey sweater! They have beautiful fabric and and are pretty badass (on IG) about expressing their thoughts on inclusivity. Oh my goodness, linen wins every time! I'm a sucker for anything linen. I have been looking forward to making something in the modal tri-blend. I would love to purchase some of that fabric with the gift certificate! I'd love to try the modal triblend and ribbing for hoodies or a sweater blazer if the drape is right. I had not heard of them before. Thank you for the giveaway. I love the plum knit fabric!! I love the green brussels washer linen. I'd make a pair of elastic waist pants with pockets. I love those sweater knits! Thanks for the giveaway! I like the pattern Itch to Stitch Nottingham Top and would use modal tri-blend sweater knit from Imagine Gnats in Peach bamboo/cotton 1x1 rib knit. Perfect color that I love. Thanks! I'd love to try the french terry because I've seen so many others use it but never used it myself. It's a toss up between the moss stretch sweatshirting and the modal jersey in marine. That Nottingham top is so beautiful that I might have to be a total copycat and get the same fabric! I love the sparkle cotton cambric in melba gold fabric. One of the Brussels washer linens! Hi, Was the winner posted?